Great for both group and one-to-one activities. Get children excited about storytelling with these quiet 4cm foam cubes! 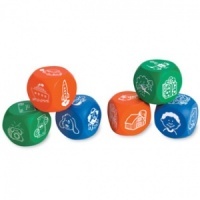 Each set includes two character cubes, two setting cubes and two situation cubes. 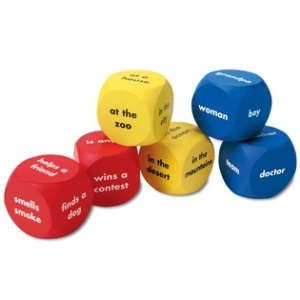 To get a story started have them roll the cubes, then mix and match characters, settings and situations. 6 x 40mm soft cubes. Excellent resource to develop language skills and also for younger pre-readers.